With January came the decision for me to clear out one of the kitchen drawers and fill it with healthy snacks. I don’t tend to eat one of these per day, mainly due to how costly it would end up, but instead save them for when I’m having an emergency craving. Either that or I take one of the bars along to the gym for after I’ve done a workout and before I go for a swim. 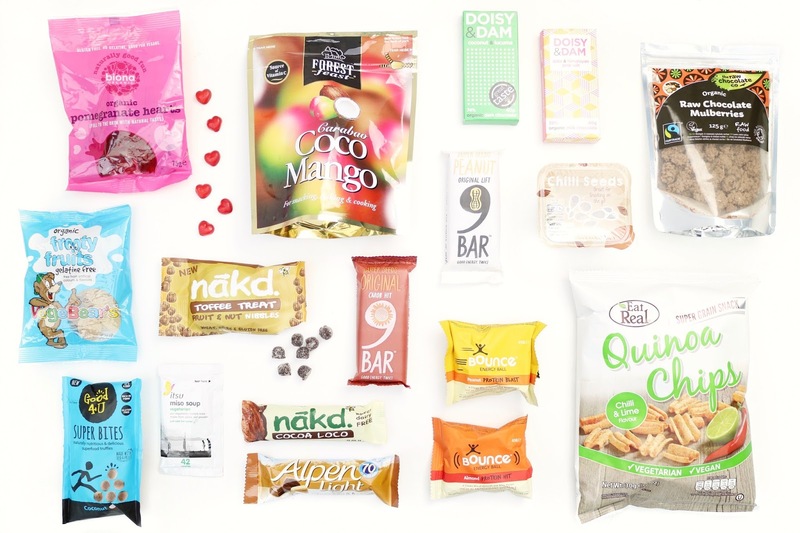 I absolutely adore each and every one of these snacks, but my favourites have to be the raw chocolate mulberries, quinoa chips and coco mango bites. I also love to have a couple of the nakd toffee treat fruit and nut nibbles with a few biona pomegranate hearts, they are seriously a match made in heaven. Before starting my healthy eating venture, I was addicted to cadbury fingers and fizzy drinks, but honestly after avoiding them for two weeks my body no longer craves sugary chocolate and instead I’m more than satisfied by eating a small amount of dark, high quality chocolate instead. I’ve also been getting in the habit of making a batch of miso soup on days that I’m still feeling hungry but have eaten most of my calorie allowance. Additionally I cook up snacks such as bbq quorn bites, smashed avocado on finn crisps and plenty of smoothies too, all of which I will soon write up blog posts about!